The unique cell structure of silicone creates an amazing dampening effect. Silicone conforms to your hands and shifts the pressure evenly across palms. 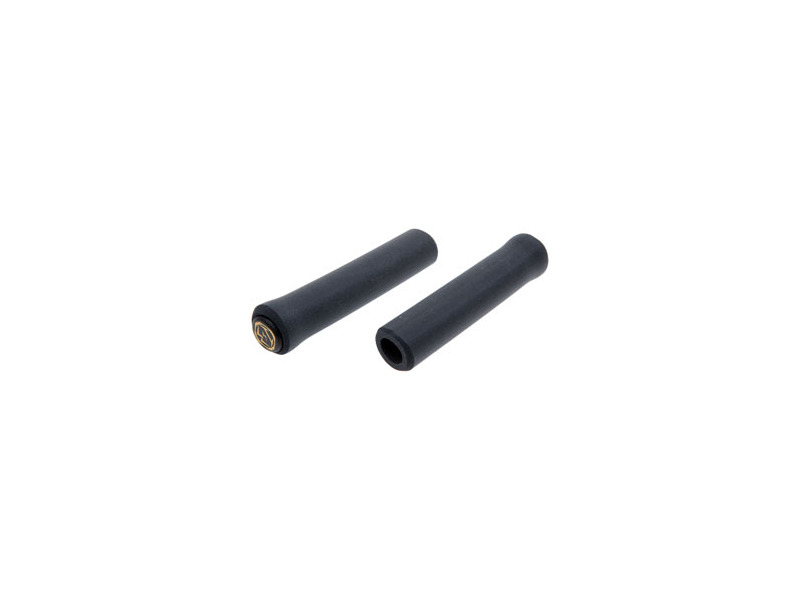 ESI Silicone MTB Grips and Road grips are engineered one side thicker for absorbing shock and vibration, with the opposite side thinner for bulk-reducing comfort. Tried these one a few years ago and have not looked back since. Nothing is more comfortable than ESI's grips. 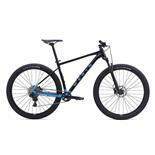 In racers edge, chunky, or extra chunky, I can pick the right size for each bike if I want more feel or more absorption. Wish I could have come across these sooner, could've saved my hands from nasty blisters. Not the most durable, but I love them, and mine have not torn. I think as others have said, if you crash wrong, they may tear. Super easy to install. Just follow manufacturers instructions. I held grip in hand, blocked one end with a paper towel, poured about 2 tablespoons of alcohol into grip, cover other end and shake it, shake it, shake it, then slide onto bars. You get about 20-30 seconds to adjust it. Let dry overnight. OURY glue on was my grip of choice. ESI does not really offer much more vibration damping, just a bit more than OURY glue on. The feel is very similar, and Oury grips last 2-3 years. ESI is $18, OURY glue ons are about $7. ESI chunky is lighter, and the feel is very similar. I have been riding with ESI Chunky Grips for a couple of years and have put them through the wringer. I ride4- 5 days a week during the summer and race everything from short track to endurance races. I have had problems with hand numbnes in the past but when I switched to the ESI Chunky's the numbness went away. I love that no matter the conditions the grip never get slippery or slip on the handle bar. I also like that the ESI Chunky's are light weight and come in a variety of color choices to increase the bling factor on any bike. 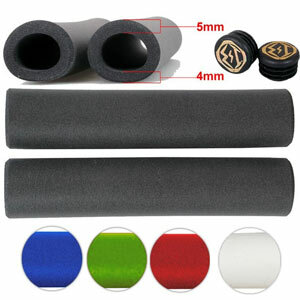 Last but not least, the ESI grips are a great value. Five flamers for sure!!! none to me everything needs replacing if these are to thin they have the extra chunky. 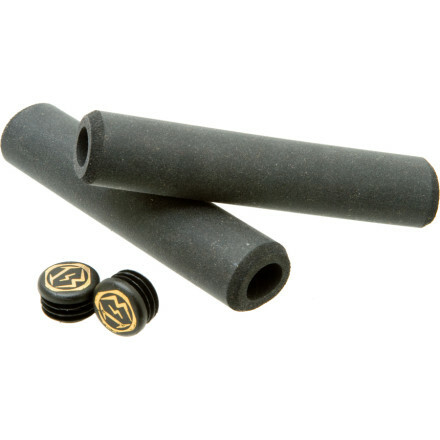 best damn grips i have ever ridden i have had odi lock on grips great grips just not for me to thin slip arm pump and a bunch of lock on grips and once i put these on that was it i was happy and no need to look for the next best grip i found what i was looking for try them there worth a shot. comfortable , excellent gripping ,have sweaty hands and they stick,, bought them in Marysville Washington road a couple days in the rain never had any issues with slippage, crashed several times never had issues with tearing or chewing up grips at all. Cushy, if that's what you want. I bought a pair of Chunkies out of curiosity after reading a few post from racers who liked the feel of these grips. They went on easily with alcohol and I was initially quite pleased with the result. On my first ride I felt more pressure on my hands than I do with my Ergon Team GS1's. I adjusted my grip and the pressure seemed to ease. I also felt I had less control than I did with the Ergons. Upon finishing my ride I discovered both grips had split at the ends. I emailed ESI Grips and they responded with a request for photos. I sent photos, but never heard back. After my second ride the grips were tearing further, so I removed them and reinstalled the Ergons. 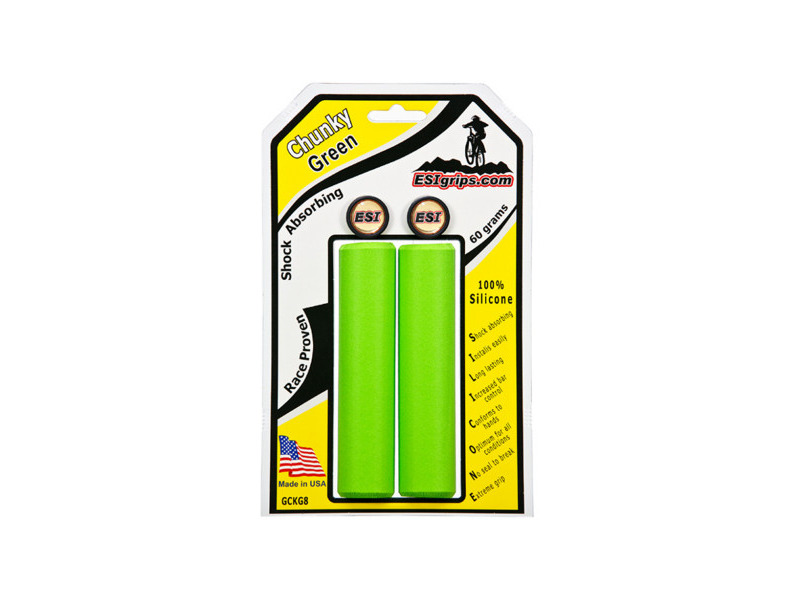 These grips are too soft and fragile for singletrack riding! I feel they are a complete waste of money! ~if you throw your bike around, you will rip them. I got mines for 13$ (USD) off ebay. 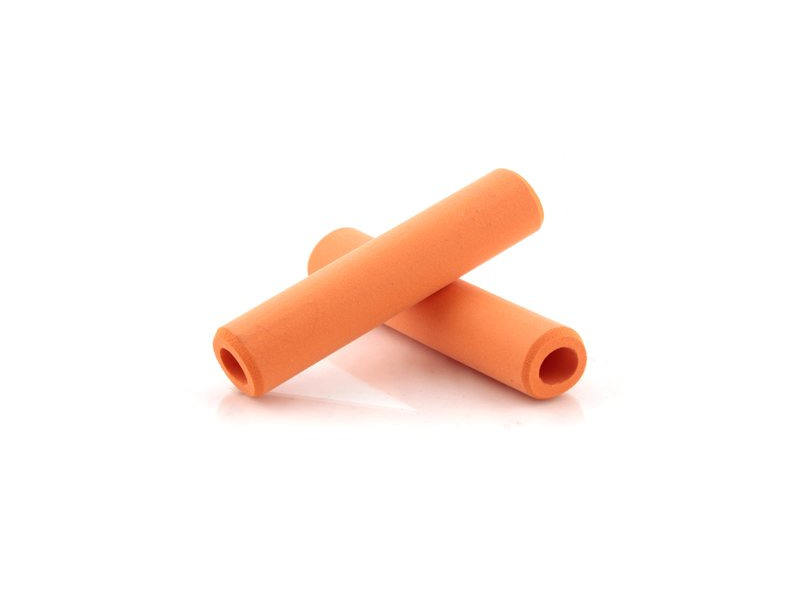 You dont need gloves with these grips because the amount of everything is just so good. Comfy and nice looking "no logo" design. Perfect balance between cushion and good contact to the handlebar. Easy to install and don't know about how easy could be to remove since it's not in my plans due to the good experience with them. A bit expensive for what they really are. Blacks are not that black and mostly dark grey. 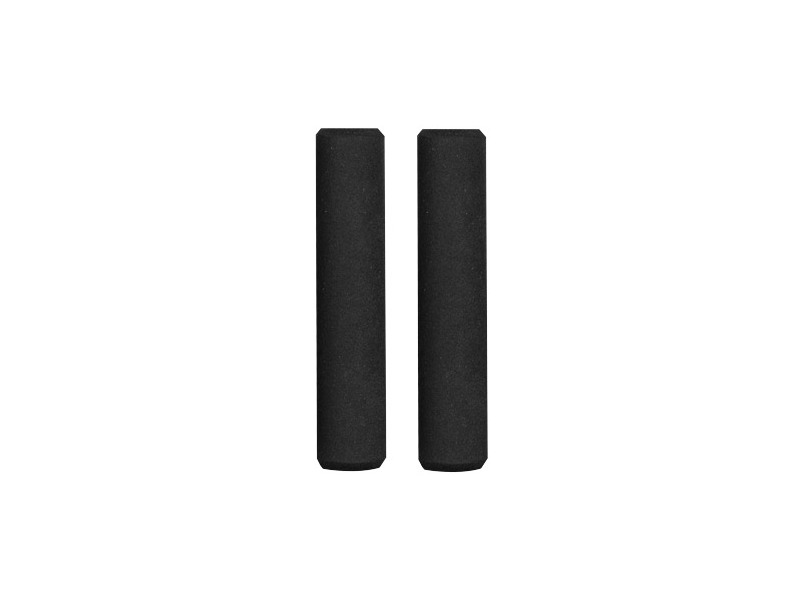 Coming from a neoprene pair of grips that served me quite well for the last year I thought it could be difficult to find grips that would beat them. Tryed a pair of ESI and since then they still being stuck on my handlebar and I'm keeping loving the feeling and the look. Soft and easy on the hands. I like riding with out gloves. Use them on a rigid SS and find them to give a little extra cushion. Also use them on a bike with suspension. Do get chewed up in the event of a crash. 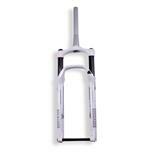 I've owned about 4 or 5 pairs of pairs of these and have had the current 2 pairs on my bikes all year long. Will buy these again in the future. light, comfortable, solid feel and pretty cheap online direct from esi. super tight fit-great once on. bar plugs didn't fit my inner diameter of carbon bars-even when hammered in with a rubber mallet the retention fins just snapped off-ie useless. super tight to get on, no flange on outer edge so not as good a feel as ourys but considering the weight, hard to complain. 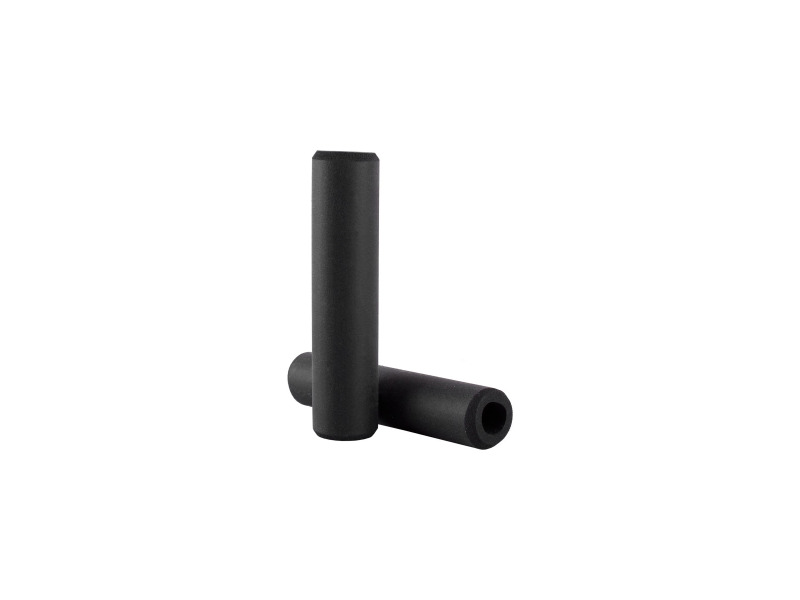 great weight and comfort, would recommend to weight Weenies wanting to shave 60+ grams from rubber grips-more for lock ons. 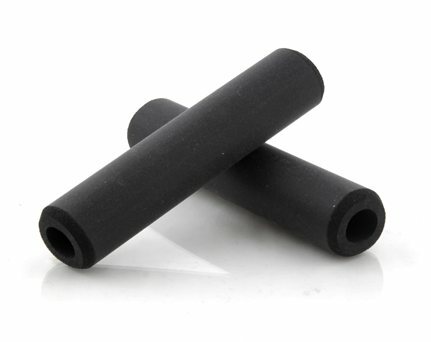 foam race grips are closest similar product but these out class those by a mile.